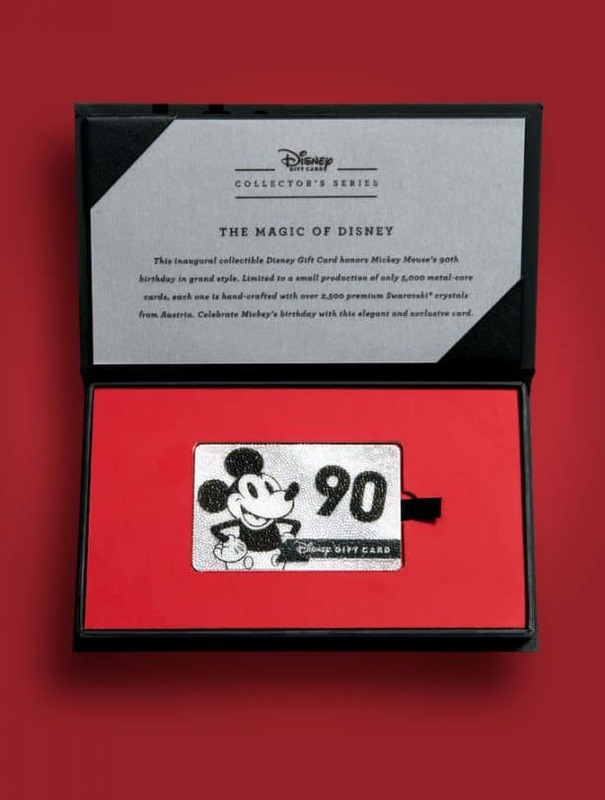 The Disney Gift Card team has created an amazing new gift card to commemorate the 90th anniversary of Mickey Mouse! 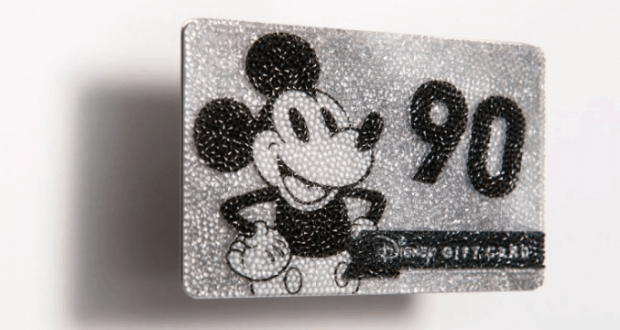 Justin Hamana, Graphic Designer with Walt Disney Imagineering, developed the concept of a crystal-encrusted Disney Gift Card just for the occasion. There were 5,000 cards that were created with over 2,500 premium Swarovski crystals. There were specialists from Swarovski who created a way to adhere crystals to the full face of the card, which is something that has never been done. The box that the card comes in is also a work of art and includes a magnetic closure. The card will never be swiped since there is no magnetic strip, it will be scanned using the barcode on the bag when you go to spend the funds. You can also merge the funds from that gift card to another gift card, by visiting DisneyGiftCard.com. What do you all think of this amazing gift card?